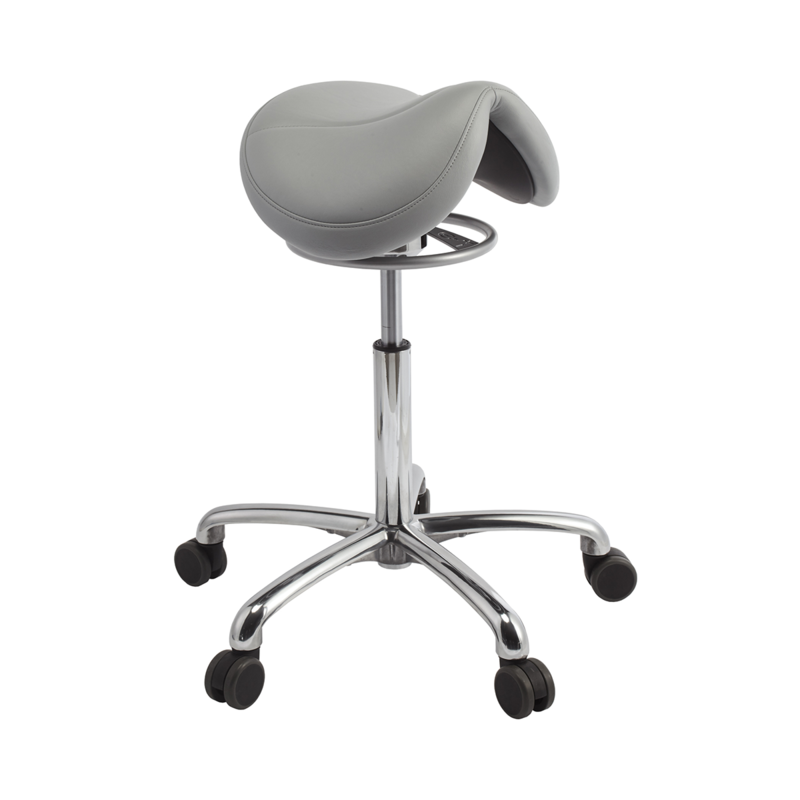 Find out if this popular saddle stool is right for you. Our exclusive 360° Dynamic Motion technology allows the freedom of movement that helps engage core muscles. Adjustable design enables you to limit the range of motion initially. Then, gradually increase the range of motion over time to continue strengthening core muscles, which supports enhanced comfort, daily productivity and career longevity. Two seat sizes – the narrower Amazone and wider Jumper – and a choice of seating height ranges assure a comfortable personalized fit for virtually any dental professional. "I’m able to get close enough to the patient so that I don’t have to raise my arms or shoulders, or compromise my posture during treatment. I wish I would have transitioned to a stool earlier in my career. I now view it as a necessity instead of a luxury." 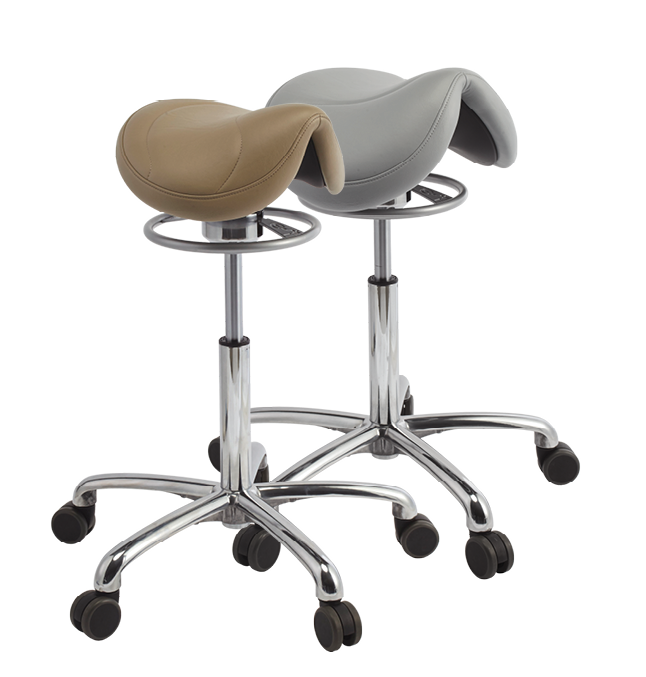 "I feel The Brewer Company hit the nail on the head with these saddle stools, especially with the 360° dynamic motion. 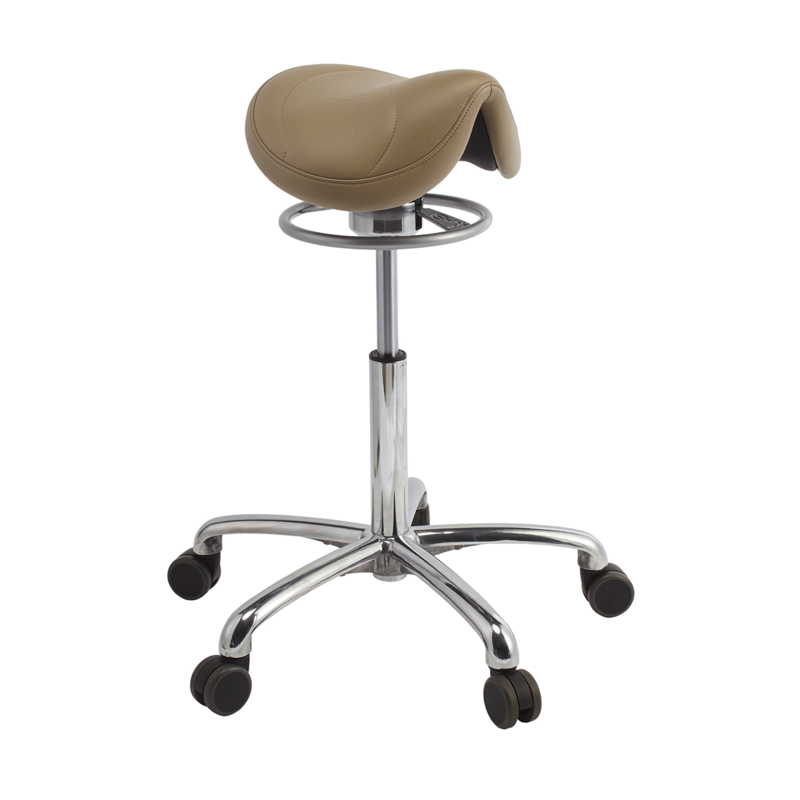 As stated earlier, the 360° dynamic motion of the Brewer Score saddle stools are a game changer in ergonomic seating." Have you tried the 135AS or 135JS saddle?